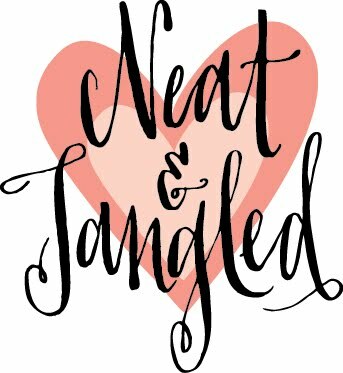 I'm happy to be part of the Pinkfresh Studio + Neat and Tangled Blog Hop today. 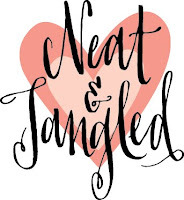 You already know I love the Neat & Tangled Stamps because they are unique, classy and fun, all at the same time. And today I tell you: I also love the pinkfresh studio producs. They have printed WOOD VENEERS ! Of course I have to love them! And puffy stickers! Love love love! And Washi! I know you will love their products too. Be sure to hop with us and comment all along the way because we will be giving away TWO amazing prize packs containing $20 in product from Neat and Tangled AND $20 in product from Pinkfresh! Absolutely amazing cards!! 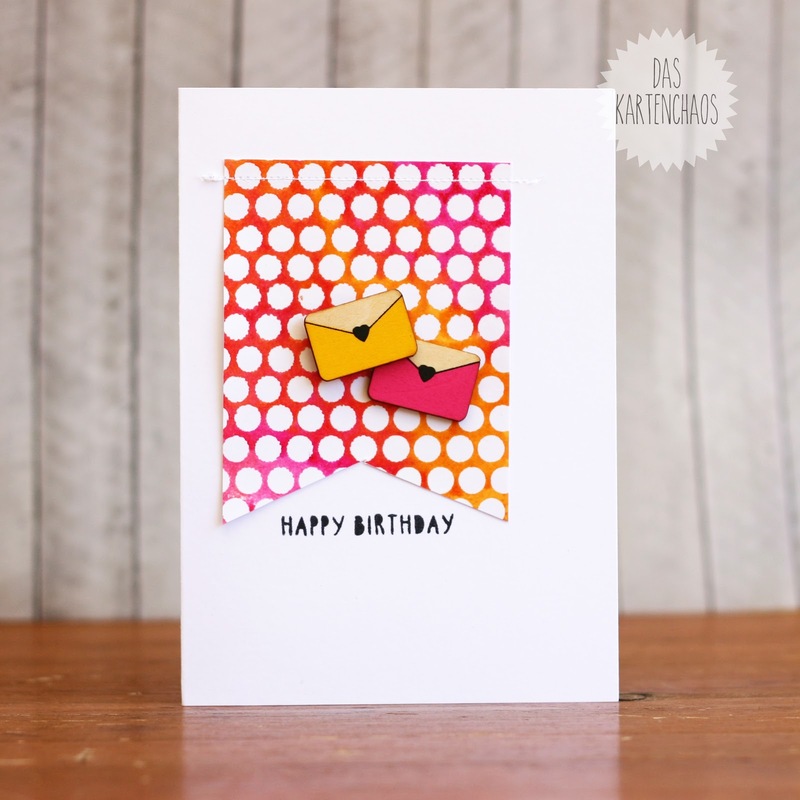 I seriously LOVE the brightness and freshness of your cards! The printed wood veneers are so cool!! And I just love that little swoosh puffy arrow sticker! Awesome!!!! Such fun cards! I love how you mixed Time Warp with Sailmates and made a banner from the Punchinella and of course I am a big fan of On the Corner! I like blog hops for so much inspiration! Thank you for yours! 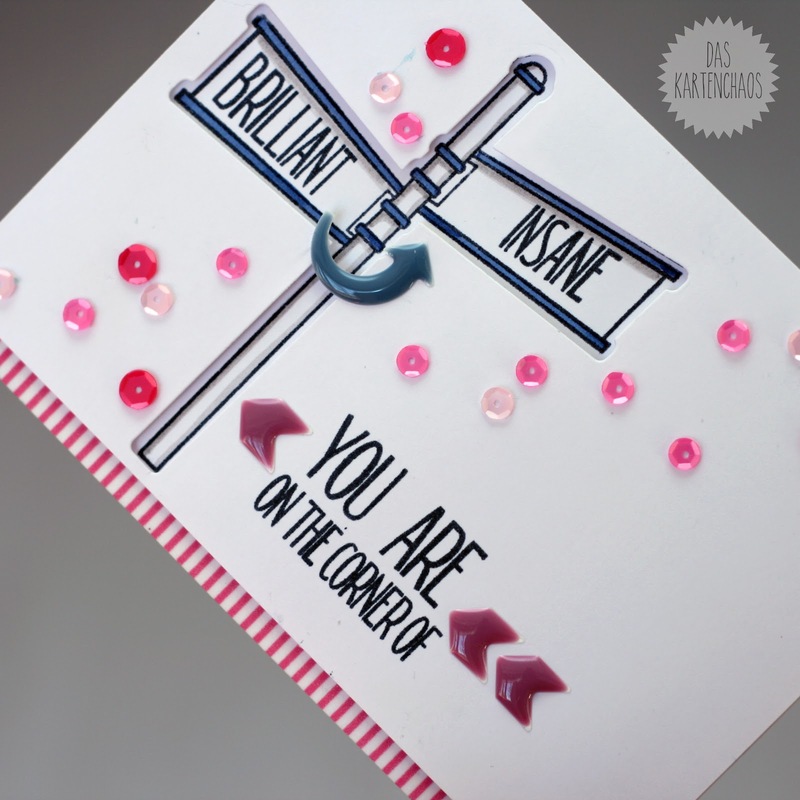 Such fun cards...I always love seeing the colors you use! Geniale Karten,Christine!! Tolle Farben und Design,Klasse!!! Ich glaub ich brauch diesen Punchinella Stempel! You used several of the things that are on my shopping list - the punchinella (it was sold out when I went shopping), the ray burst (waiting for the punchinella) , and the street sign (I forgot to order the die cut on my last order). You used them all so wonderfully. Can't wait to get mine so I can follow your lead. These cards are adorable. Thanks for your inspiration. Love all three cards! So pretty! You've used some of my favorite products on these cards! I especially love the Time Warp stamp - too bad it sold out already! 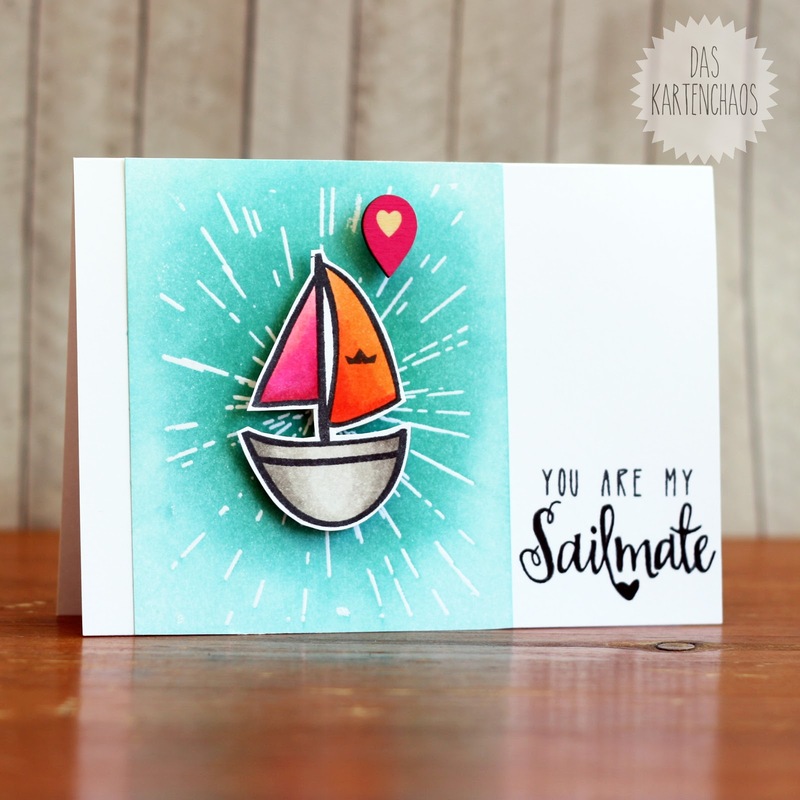 Love the sailboat and the street sign stamp. 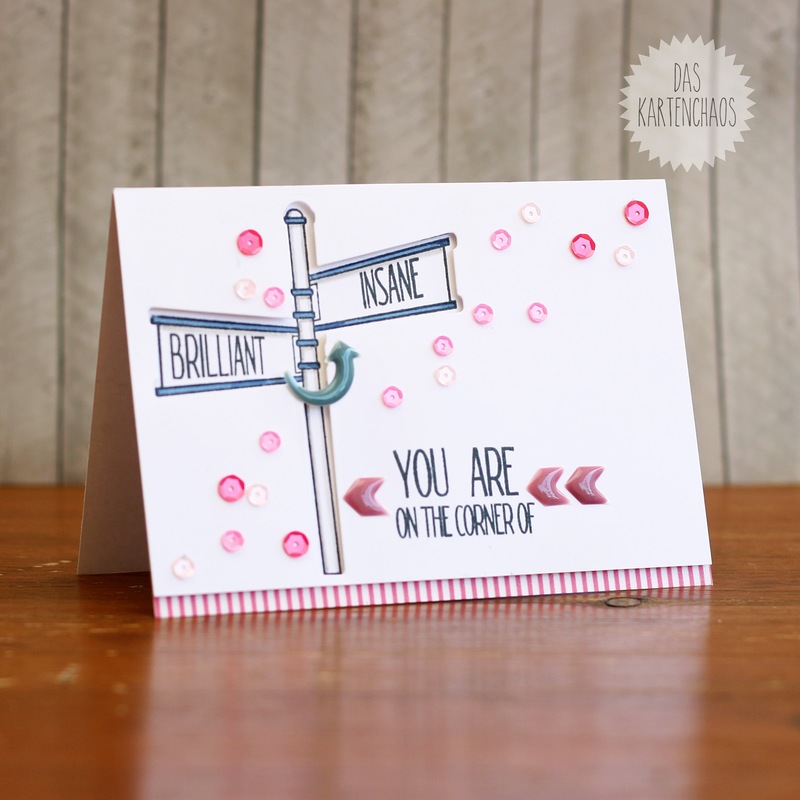 Your first cards are so fun because they are bright your third card is pretty because you went with softer colors but I do love the sentiments you chose for your street signs! Love all three cards, especially the 2nd. These products pair beautifully together. totally fun cards and pretty at the same time. Well done. So so fun... 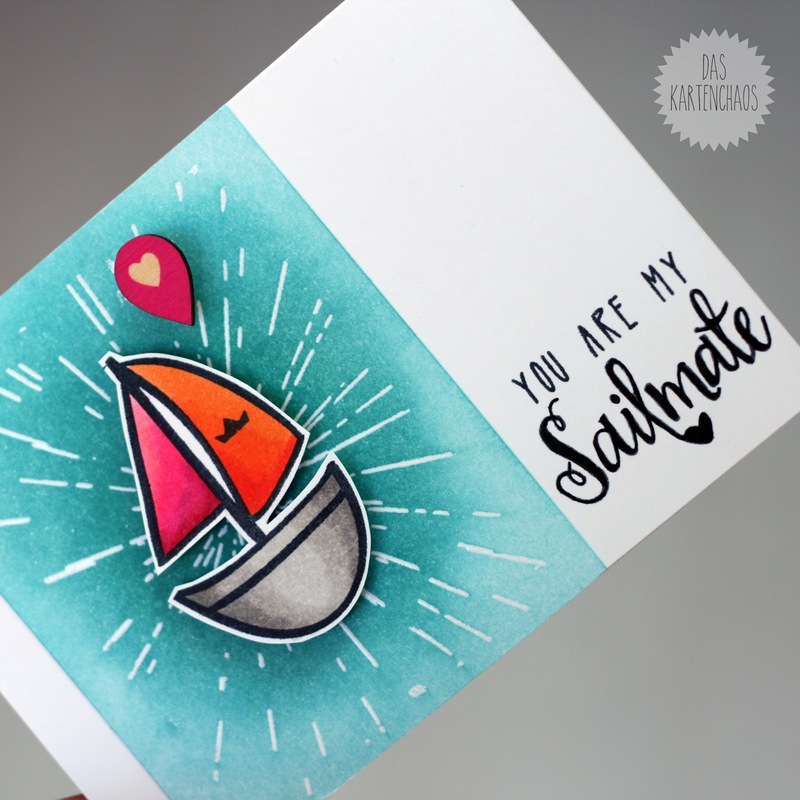 I love the You are my Sailmate card!! Beautiful and brilliant with the geotag! Great cards. love the backgrounds, they are so cool!!! Great cards combining products from these two companies! Love how these cards turned out esp. the first nautical. Great projects! I really like the Punchinella stamp. 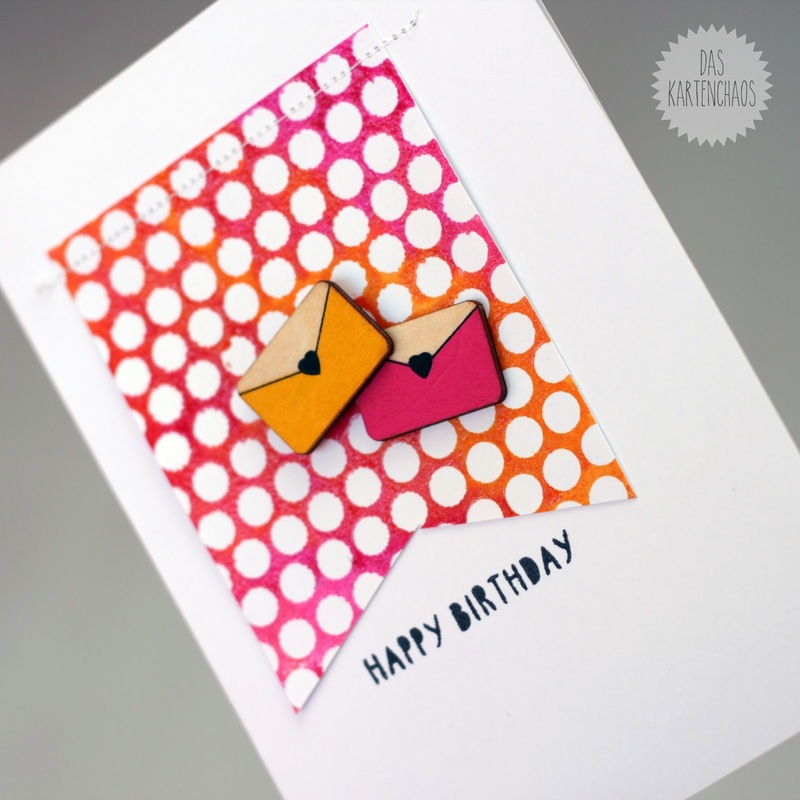 FABULOUS cards- I love the bright cherry colors! I am loving that envelope stamp!